No matter how absurd it might seem to hear, but there still do exist people who contend that the Earth is in fact flat, and not round. They argue that the maps published globally, and taught in schools and colleges, are just a big misrepresentation of the actual planet. Well, whatever they say does not matter to Google Maps, which just introduced a new feature to its application. 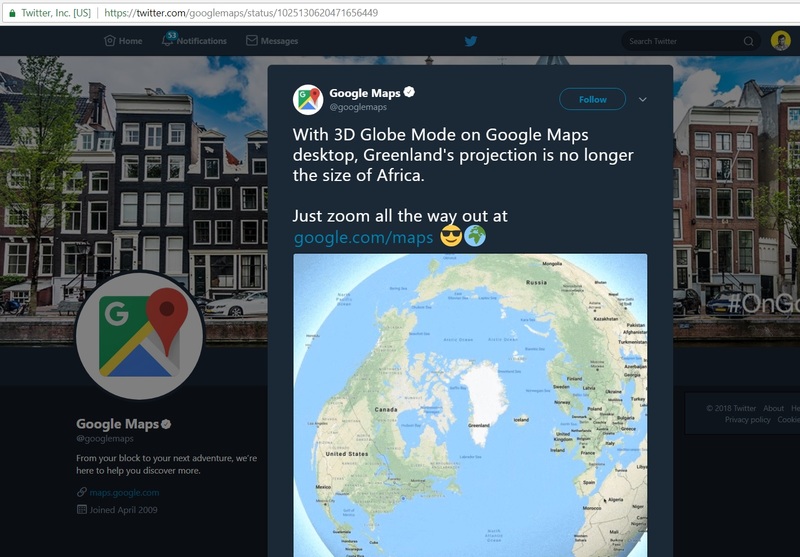 With this new tool, when a user zooms out of the map, instead of displaying the old flat version of the map, it instead curves it up to show a round Earth. Now that is something! It is being claimed that the Flat Earthers will now not use the application. This new update is available for mobile phone users; however, web users will soon be able to view this feature on their desktops as well.